Baharak and I like to pick a neighbourhood, somewhere in and around our hometown of Montreal, and spend the day like a tourist. 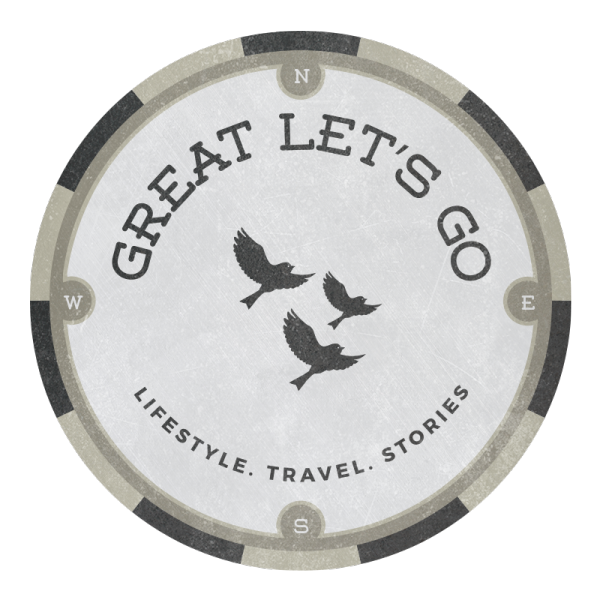 We explore, wander, try a coffee shop or pub and spend an afternoon getting to know a local spot. 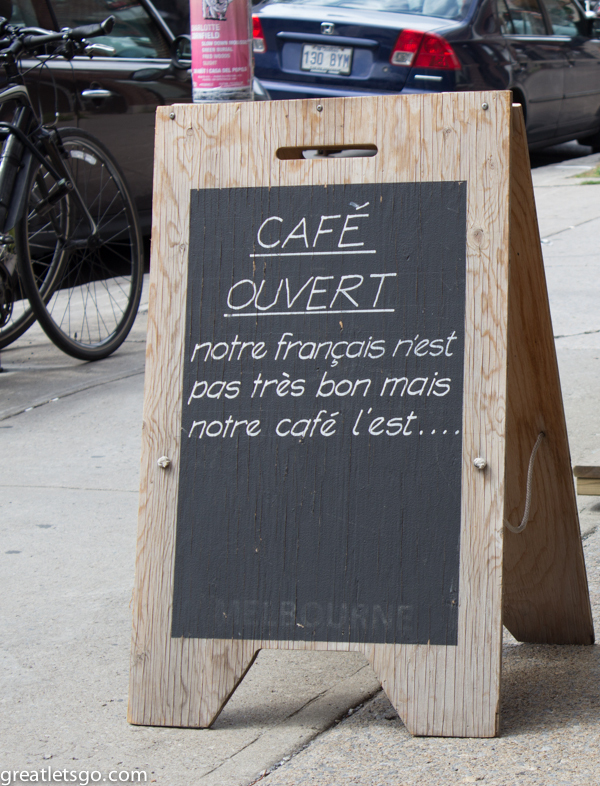 Last week we decided on a visit to one of Montreal’s most famous streets, St. Laurent Blvd, otherwise known as The Main. The street is a real mish-mash of cultures, heading straight north from the Old Port, cutting the city in half. Decades ago it was known as a dividing line, slicing the city in two, with mainly French living to the East and English to the West. Today it is known as the epicentre of cultural Montreal. 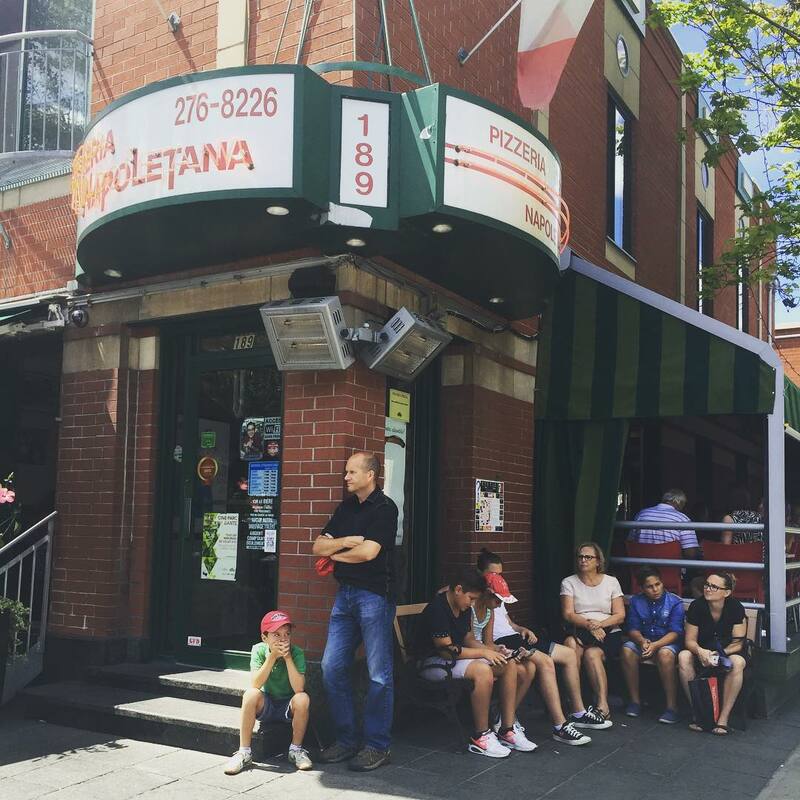 From South to North it is the very best place in town to find: dim sum, smoked meat, Portuguese chicken, bagels and cannoli (or bombolone as we recently discovered). 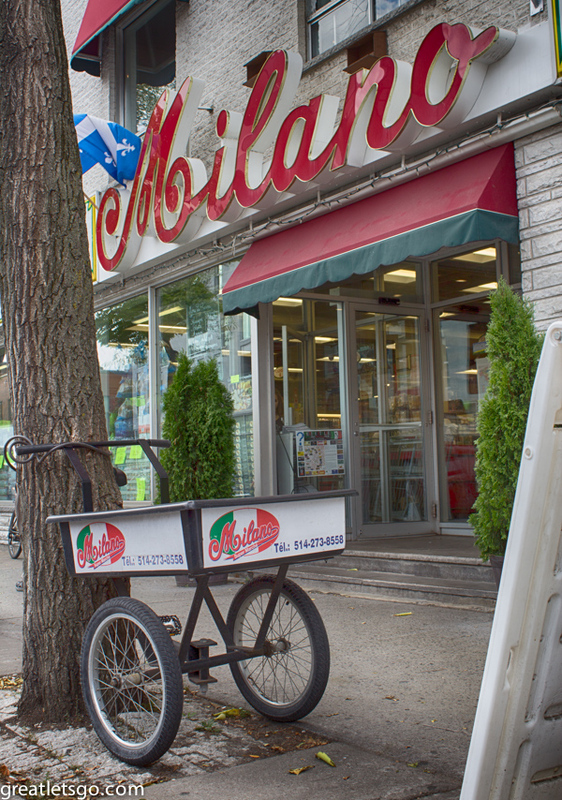 Here now is a photo-journey, our trip from the corner of Jean-Talon & St.Laurent down to DeMaisonneuve. We didn’t make it down to Chinatown on this walk. 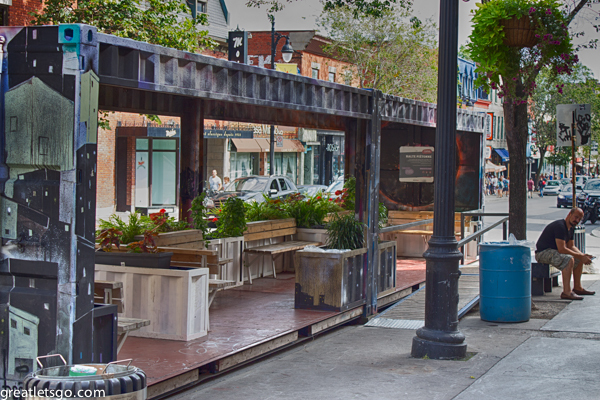 Just a couple blocks east of St. Laurent is one of Montreal’s most popular markets, the Jean Talon Market. We started in the market then made our way west to St. Laurent. This is the first little surprise along the way. 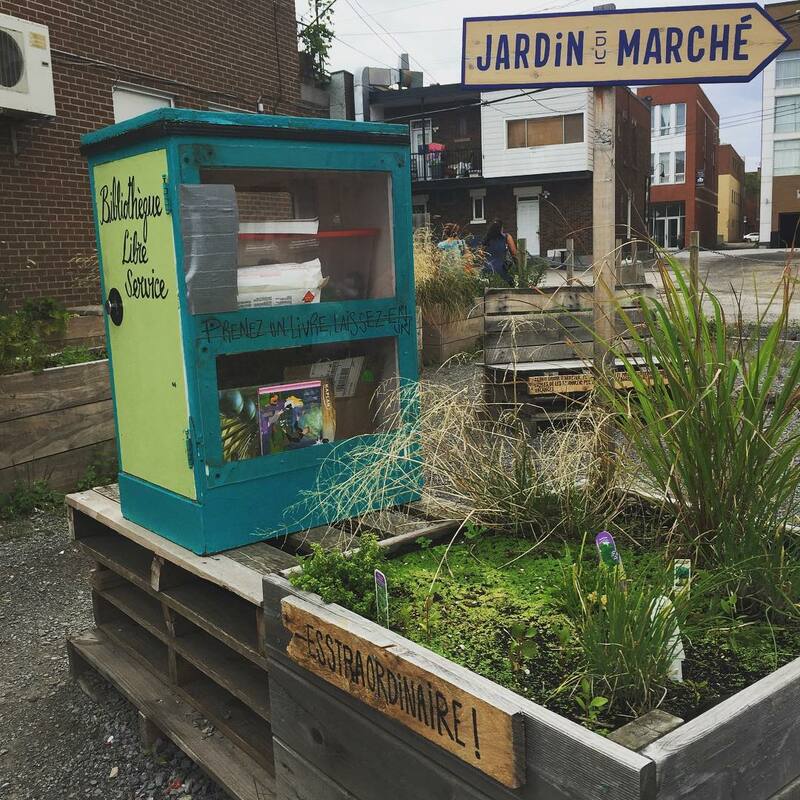 A small public herb garden and lending library. 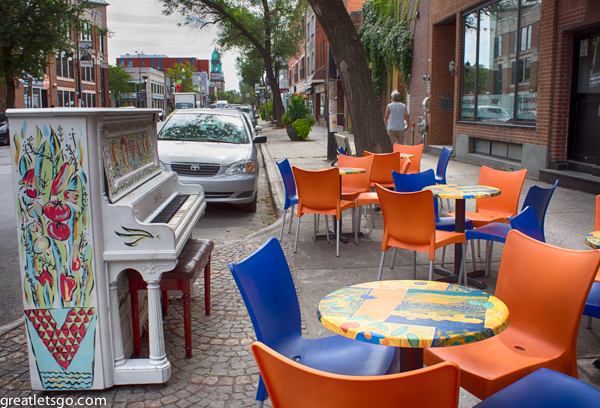 One of our favorite spots in all of Montreal is Little Italy. We been up there three weekends in a row now: first to taste some Bombolone (most awesome doughnut ever), then for Italia Week (we also went to Impasto – highly recommended, though not if on a tight budget), and finally our St. Laurent walk. A couple weeks back we came up here for some terrific pizza at Neapolitana on Dante – thought I’d throw this in as I really like Baharak’s photo, gives a nice feel for Little Italy. 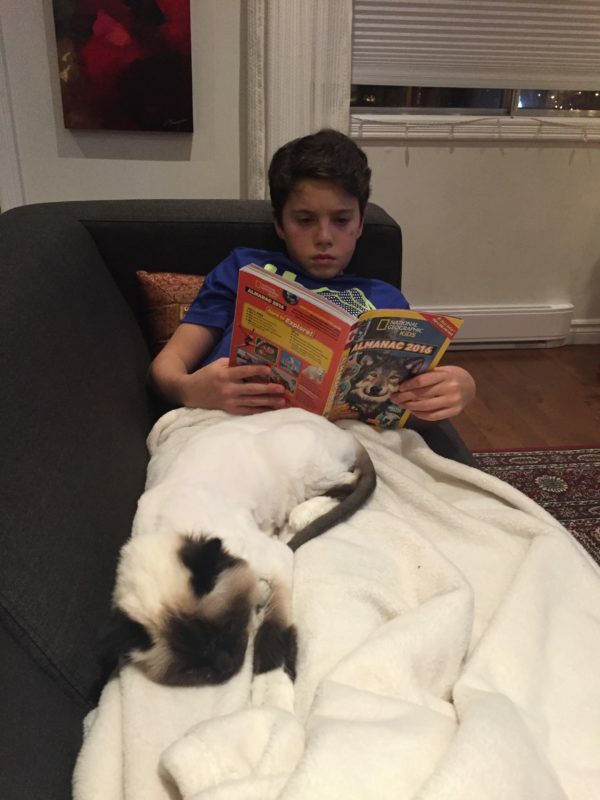 Here I am with our son Kasm. The city has started dropping these boxes around, I think they were old rail cars. On a bright, sunny afternoon they make for a comfy repose. 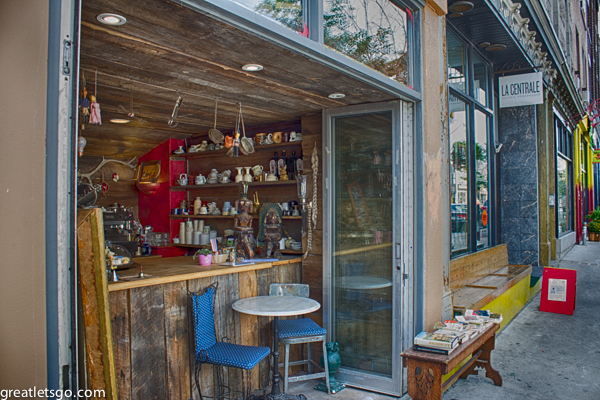 St. Laurent has tons of little antique shops, vintage clothing, coffee shops. 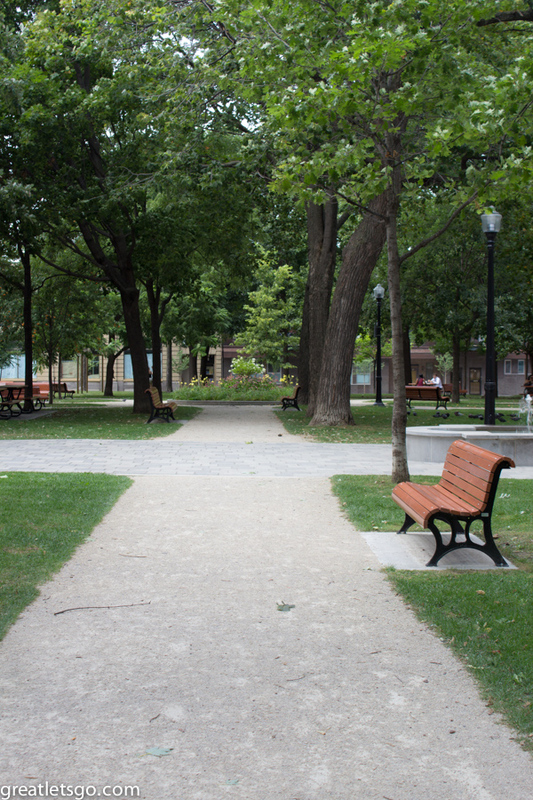 The street could use a little more green space – here’s the spruced up park at the corner of Laurier. 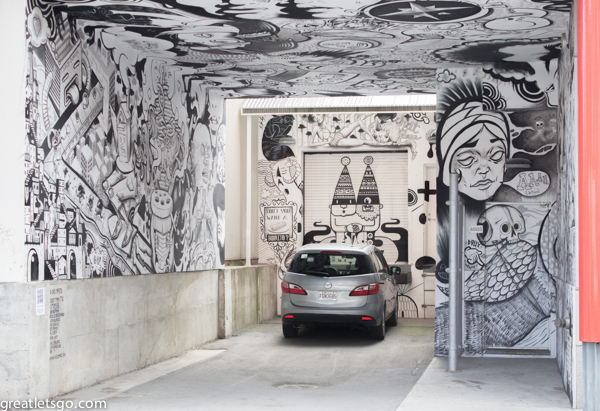 There is an abundance of graffiti but much of it is on demand, not just defacing businesses but well executed murals. I’ll wrap things up with a true Montreal landmark. An institution on St. Laurent for as long as I can remember. 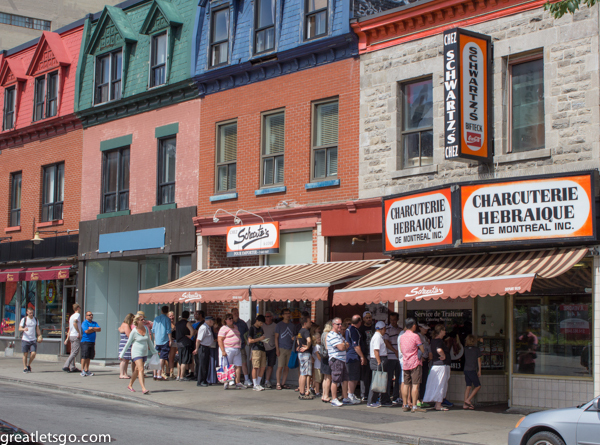 One of the best smoked meat joints in town, Schwartz’s. And one of the very last apostrophe’s on any business in town. When new language laws passed in the early eighties, they say most apostrophes were packed up and placed in a warehouse just across the border. 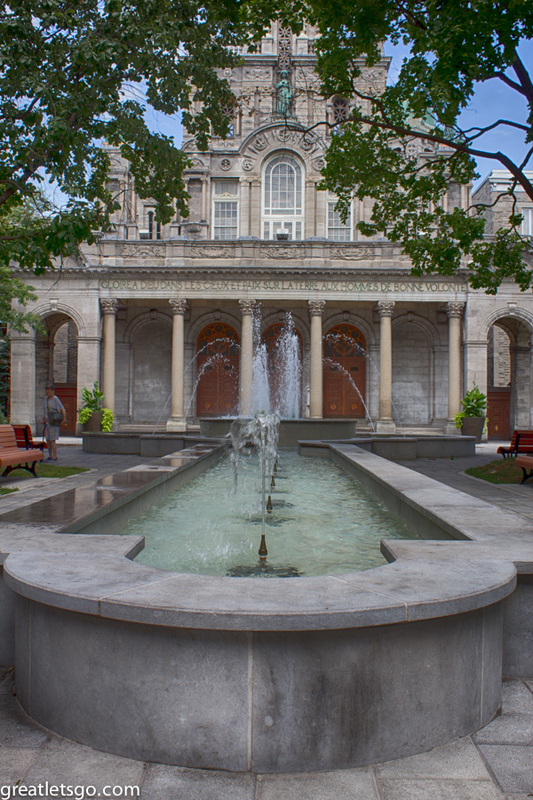 So, a fine day spent with the Mrs. strolling down one of Mtl’s landmark streets.